Purpose: Use this document as a reference for creating Departments in ctcLink. 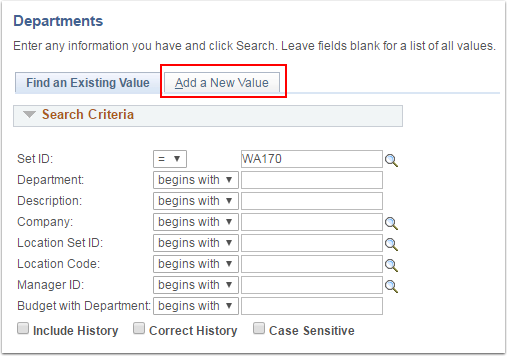 Advisory: Only users with the access to the Set Up HCM menu may create departments. Contact your local Security Administrator for assistance. Select the appropriate Set ID. Enter the desired Department Number (10 characters maxmimum). There are two (2) tabs on this page. The default tab displayed will be the Department Profile tab. The Effective Date will default to today's date, change if needed. The Status will default to Active, change if needed. 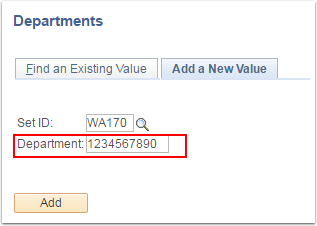 Enter the department name in the Description field. Select the appropriate Company from the drop down menu. Select the EmplID Manager Type. 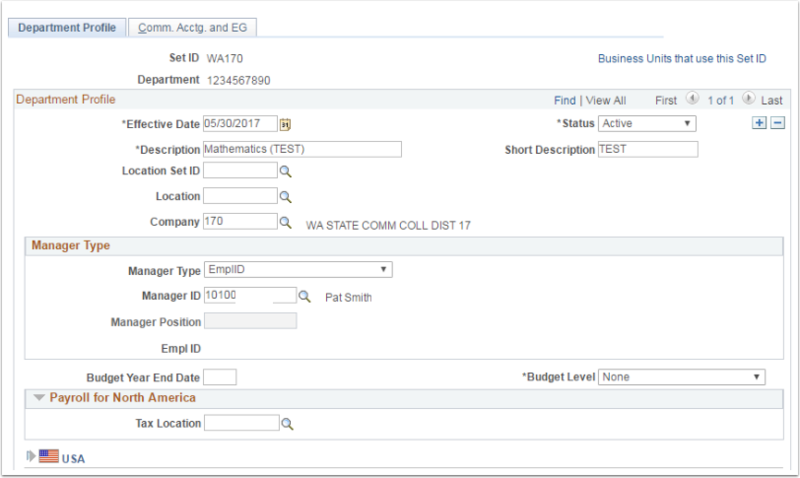 In the Manager ID field, enter or select the desired Empl ID of the designated Supervisor for this Department. NOTE: The manager ID that you select becomes the default supervisor ID on the Job records of all people who are assigned to this department. If you have more layers in your organization, override the default. NOTE: NO DATA ENTRY NEEDED on the Comm. Acctg. and EG tab. Congratulations you have successfully created a new department!!!! !